Relief washed over her as she recognized her father’s car in the distance. She could see her father now. His lean profile was lit by the dark blue light of the dashboard. His face had no expression. They had an agreement. She would be allowed to go to Brownies if she walked the five blocks to this spot afterward, and wait the hour for him to drive by and pick her up on his way home from work. But the car was going too fast. He’s forgotten me, she thought as the car sped by, He’s forgotten its Wednesday. Will he realize that I am not in the house and come back, or will he just forget? Far away, up in the crown of the tree, the owl swooped down for the mouse and deep in the forest the buck took a step on a loose rock and tumbled to the ground. And she covered her hand with her mouth, and waited and waited. She turned her face toward the window and did not look at him. She did not look at anything. He had gone home, saw that she was not there, and returned. She closed her eyes and reviewed a calliope of beasts, and for a moment, she could not find a single one to help her. She took a deep breath, swallowed her tears, and made herself a buck. There she was, in a gray and brown clearing: head upright, eyes black and enlivened, ears attuned. A hunter aimed at her from a stand of pines, but she heard the crunch of the man’s clumsy boots, and the squeaking of his leather belt, and the wet, loud inhalation of his breath before he squeezed the trigger. She bound away for the woods, away and away from him and the sharp report of the gun far behind her. “That’s the prettiest thing I’ve ever seen,” the woman said, taking a step back from the vase. The white, twisted branches of the willows interlaced like arms without bones, embracing at unusual angles, kissing delicately at intersections along their full lengths. And the daffodils were mixed among them, their yellow so keen against the white that she felt sure that two colors had never been juxtaposed so evenly and handsomely ever before in the whole history of plants and twigs on this earth. “Isn’t it pretty, Jenny?” She turned toward the girl. She was asleep on the couch. The grandmother tiptoed to quietly place a blanket over her body, then closed the shade so the sun would not wake her. And then she sat down to watch her face in the pose of delicate sleep. She was waiting. She imagined herself as an animal. 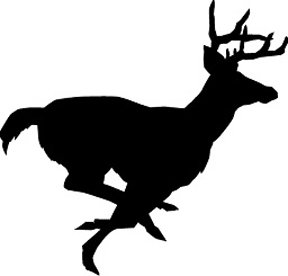 A strong buck in the rutting season, its breath visible in the early morning air, crashing through briers and underbrush, storming through an open field, its strength and courage only matched by its speed and agility. People thought deer were weak animals --- nothing more than easy prey for wild dogs and hunters --- but she had once seen a doe protect her fawn by charging a grown man and throwing him against a metal fence. The man suffered cuts all up and down his spine, and had to get dozens of stitches. She thought of the owl that probably lived in this tree, unafraid of anything in the night. It could turn its head all the way around, and its wide yellow eyes could see the strange forms of the night as if it was midday. But what would it see? A field mouse scampering across the road to the abandoned lot down the street, where its hole lay beneath the hood of an old car. It could only reach that hole by exposing itself to great danger --- by running out along the length of the street and the lot. Then the owl could easily see it and swoop down, kill it and eat it. Suddenly she did not feel safe having the owl above her head. She felt as if she was the mouse, scampering toward her hole. The uncertain knowledge of what was above her head made her bite her lip, and want to cry. But she fended it off when a car slowed down to look at her. Against her better judgment, she gave her granddaughter a butter knife. The bark was too thick for her small fingers. They each took a sprig of the twig and began to strip it of bark. A pile of daffodils were at the foot of the steps. Far overhead, a cloud covered the sun, and the warm, late spring day suddenly cooled. “Do you want a sweater, honey?” she asked her granddaughter. She went into the house and pulled a sweater over her head. The little girl’s pink zip-up was on the kitchen table, among a scattered field of crayons and coloring books. When she returned, she knew something was wrong. The girl was hiding her hand. Her happy face was blank. “I don’t want to,” the girl turned her head away. Her lips were curling down at the corners. The little girl offered her hand. There was a small scrape across the thumb. The grandmother took her hand and planted a kiss across her palm. “Can I still cut the bark off the branch?” the girl asked quietly. The woman stripped the bark from the branch, and the girl carefully snipped the stems from the daffodils. They sat on the porch step, taking their time and exchanging words sparingly --- both unconsciously trying to stretch a moment that would soon be gone. “Why not?” the girl asked. The woman paused and looked down at the little head. “What did you like best?” The little girl asked her expectantly. “Feeling safe,” she answered, stroking the light floss on the girl’s arm. The girl snuggled up to her grandma, secure as a cat. She said this, and held the little girl firmly. What do people want? They want safety. They want warmth and security. And a little hand wants a larger one to hold. When the light held, it wasn’t difficult. 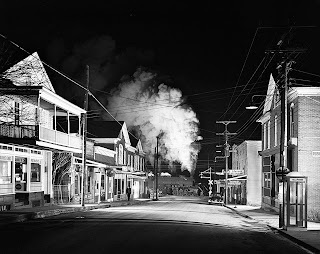 But as the days grew shorter, she would stand beneath the elm tree, far away from the street light over by the First National Bank, and wait to see the familiar headlights. She would wait, and every week, as the days grew shorter, her dread increased, until she would stand there, waiting for her father’s car, praying with each one that passed that she would soon be home. Sometimes cars would slow down, and men in low brimmed hats would appraise her. In her Brownie uniform, she felt especially exposed. 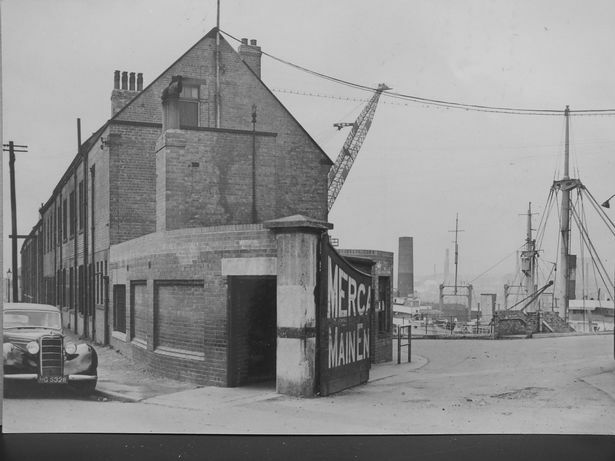 The elm tree could not hide her --- in fact, in merely highlighted her condition. This tree, with its arched boughs and its tall recesses, did everything to cast her out into the gathering dark. The black branches bore a ring of dried leaves at their crown, and in the cold wind their shaking sounded like damp, hard exhalations. She made several vows during those dusk vigils beneath the elm tree. She promised that she would be a good girl if God would deliver her safely into the hands of her father. She promised God that if she was ever a mother, she would not let her children wait on a corner in the darkness for a car that was supposed to come on time, but always came late. She would become a great Mother Bird with spreading wings that she could heft over her head and then settle gently on the children beneath them. In those nooks, between her warm body and her strong wings, she would protect them from all harm. She would be soft and protective, but she would kill to defend if she must. They walked out to the gazebo, hand in hand. There were daffodils to be picked. Along the way, she snapped up a long curly willow branch. She sat down on a rock and stripped it of leaves. The little girl sat on her lap and watched. “Sit and watch,” the woman answered. She took the leaves off the branch, then with the sharp tip of her nail, stripped off the wet, green bark, revealing the gleaming white beneath. The little girl fingered the smooth wood. Jewish with Feeling: A Guide to Meaningful Jewish Practice, by Rabbi Zalman Schachter-Shalomi z”l, is more or less like all books by Rabbi Zalman. 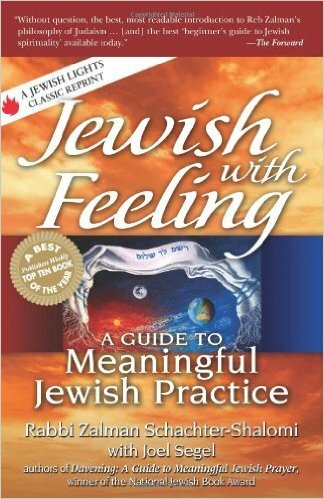 Considered the guru of the Jewish Renewal Movement, his books will make you feel good, give you hope that Jewish practice has meaning, and that you can tailor the style of this meaning to your life. Having read books of this stripe for some time, I can say that after an extended run of good feelings, Jewish Renewal does not prepare you for the long haul. It lifts lethargic Jews out of their doldrums, which is excellent, but after a honeymoon period, there is the struggle. Jay Michaelson, disciple of most of the primary Jewish Renewal figures, recognizes this, and writes eloquently of the usefulness of negative emotions in religion and spiritual disciplines, particularly sorrow, in his book The Gate of Tears. Rabbi Zalman was a happy man. For the rest of us, there is always sadness, even when you are God-intoxicated. 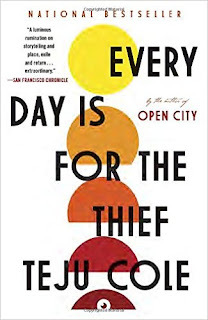 Teju Cole’s Every Day is for the Thief is a novel, but it has almost no plot; large sections of the book are devoted to chronicling the various dysfunctions of Nigerian society in a style that reads like non-fiction. But these explorations are, in themselves, fascinating. The narrator, away from Nigeria in America for fifteen years, returns, and can see the country with a crisp, discerning eye. So, we get to see the culture from a double edged perspective. While the reader would be totally on the outside (unless you are Nigerian) Cole’s narrator is between two worlds, and conversant in both. His prose is simple and without embellished. Cole is not doing anything interesting with language. 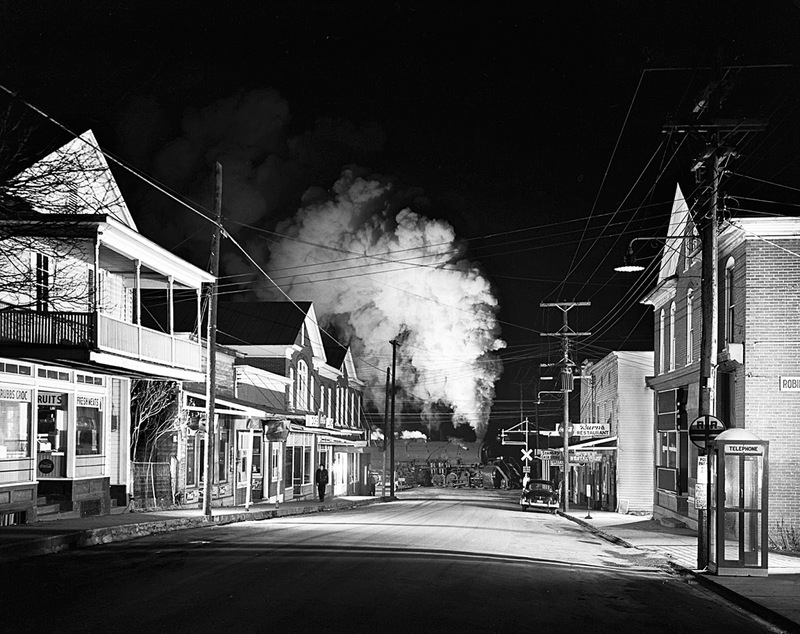 The hold of this novel is its subject matter: the laying out of a place where nothing works, and people simply try to live on with this knowledge. Even simple ventures are difficult in Nigeria (like riding the bus). So, Cole gives us a seat on that bus, and allows us to see how so many people in our world do, day by day. Stephen Ambrose’s books worry me, and because of this I have stayed away. 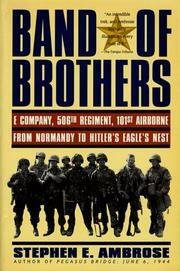 Band of Brothers: E Company, 506th Regiment, 101st Airborne from Normandy to Hitler's Eagle's Nest confirms my concerns. Shortly before his death, accusations of plagiarism dogged him. By that time, Ambrose was not really writing his books, but supervising researchers, running a cottage industry, churning out six to eight books a year. under his name He claimed the errors in attribution were just mistakes and no more - based in part on the form of this enterprise. But an historian's work rises or falls on the on our trust that he or she has done the hard research. Whatever a 'fact' is, it must be backed up by a primary, or at least secondary sources, and it must be cited. With this stain on his work, how do I know that Band of Brothers is a work done in good faith? I don’t. Also, Ambrose is VERY close to the subjects of this book, and has an obvious admiration for them. As one of the proponents of the “Greatest Generation” brand, he finds no conflict in how snug he is with the people whose history he writes. Does this lead to historical distortions? Probably. Certainly, others have pointed this out and provided many examples of these distortions. So how do I know what I am reading is anything like an attempt to write an orthodox history of the subject? I don't. These question bother me. Perhaps it is best to read this book as a kind of historical entertainment, rather than as any kind of rigorous history. And to be fair, Ambrose does say this book was not written to be an overall or conclusive history of Easy Company, but only a slice. Yet despite this disclaimer, and despite being well-written and an interesting read – and at times a bit critical of his subjects – this work his hagiography, not history. Unfortunately, most readers do not realize this. The Postman more or less steers clear from the set-piece elements of the post-apocalyptic genre, but not completely. 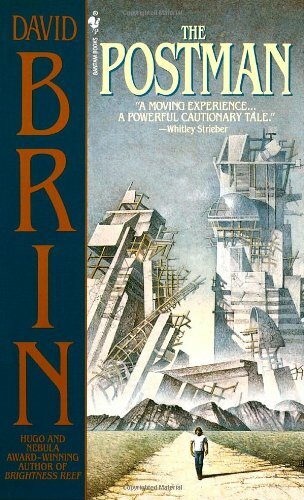 Written in the mid-80s, it describes a world that was halted at that moment, giving importance, say, to a mail carrier as a symbol of federal authority. There are excursions into the realm of 80s feminism, brought forward, which hardly a soul would recognize today. The idea of the supercomputer, detached from everything, working in isolation to solve problems in ways that are inscrutable to all but a few technicians, is also not our world. Technology is in everyone’s hand, quite literally, and on the go. Despite these anachronisms, The Postman is a solid read. Gordon is invested with the positive qualities of the hero without too much of a stretch to unbelievable exploits. He is hemmed in by his world, by the lies of authority he tells, and can’t get beyond them. In the end, that is the redeeming feature and message of the novel. So much of “authority” is based on duplicity. We invest figures with authority from a sense of need – not necessarily because they have such authority. The postman explores this dynamic, sometimes with a light hand, sometimes not. But in the end, this is the element that saves the novel from rough cliche. 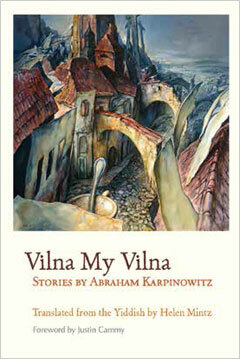 Please see my review of Vilna My Vilna in the Colorado Review's Center for Literary Publishing. 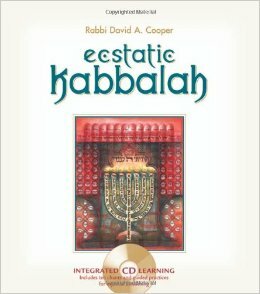 Rabbi David Cooper’s Ecstatic Kabbalah is a journey into the practice of mystical techniques. It is not a detached theoretical discussion, nor is it an esoteric tract for the few. Rather, it provides exercises and techniques that any person can do. If you have read Rabbi Cooper’s other works, there is not much that is new here. He is influenced by the work of Rabbi Abraham Abulafia, but he also practiced Buddhism and Sufism, and although this book is “Jewish” in primary sense of the word, other influences are apparent. Ecstatic worship is not about reading books, or even saying standard prayers or engaging in communal worship (although those elements play a part) but rather about the direct encounter between the person and their inner world. So, books like Rabbi Cooper’s really hold the key to unlocking the vitality of Judaism for so many Jews who are disaffected with the normative way their religion is practiced. But it takes effort, time, patience and practice. It takes work. But it is worth it. 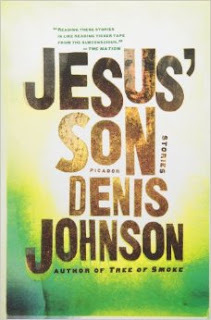 After reading Fiskadoro and Tree of Smoke, Denis Johnson’s Jesus’ Son is a disappointment. It is a romp, and full of energy and drive. Johnson provides humor, pathos, and interlocks the stories in ingenious ways. Yet for all this, the collection lacks depth. It is as if Johnson was so eager to give his collection speed and verve, that he forgot or failed to give it complexity. 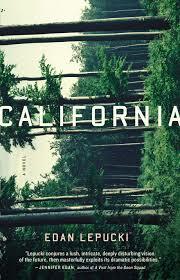 California by Edan Lepucki has a fine strong start, which peters out near the end. In an interview Lepucki explained that she wanted to write a “domestic” post-apocalyptic novel. She wanted to explore the dynamics of a couple progressively doing without the things that make our world livable (shampoo, razors, hot water) and that is certainly how the novel starts. Unfortunately, Lepucki get a bit lost after she enters the “Land” community. Suddenly, she is dealing with the wider world of extra and inter-community politics and relationships and the novel becomes increasingly opaque. She is unable to handle all the plot lines she has laid out, and by the end the two characters wind up in a place and situation that are not really adequately explained. 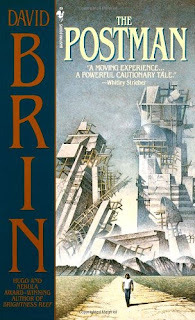 Overall, this is a good novel, but not exceptional. The writer has taken on more than she can handle, and it shows in the general muddle of plot trajectory and character motivations as the story progresses. 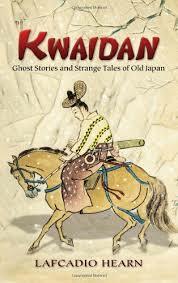 Kwaidan: Ghost Stories and Strange Tales of Old Japan by Lafcadio Hearn, is a fascinating book, retold be an unusual man (Hearn's biograpy is less than conventional). 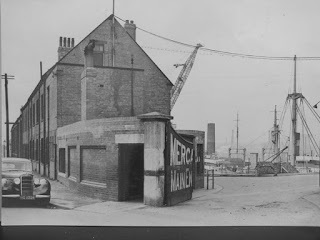 The style of these ghost stories and tales is delightfully odd; the set-up is broken, as if Hearn was creating a modernist text (but I am sure it is simply an accident, or the constraints of his style or even a lack of skill). There are simply good stories here; they tell a folk tales in a straightforward manner without undue and unnecessary embellishment, while still keeping their sense of otherness. The end of the book is confounding. There are a string of mini-treatises about storytelling, some Welsh folk tales – all with no bearing on the Japanese material. Why is this in the book? Has anyone from Dover actually read this work recently? Beside this odd addendum, these stories are just clean narrative fun.